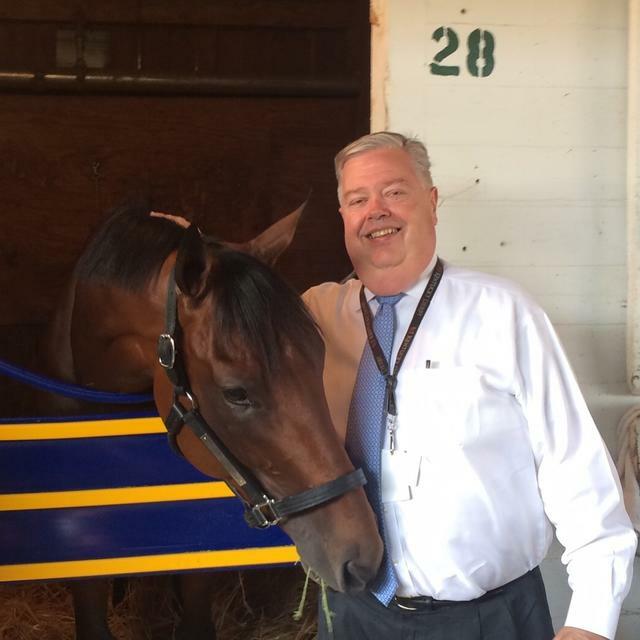 The Turf Publicists of America (TPA) announced today that the 2018 Big Sport of Turfdom award, which recognizes a person or group of people who enhance coverage of Thoroughbred racing through cooperation with media and racing publicists, will be presented posthumously to John Asher, the late vice president of Racing Communications at Churchill Downs and former president of the TPA (2000). Asher, a lifelong racing fan, landed his dream job at Churchill Downs in 1997 and had served as vice president of Racing Communications since 1999. He was the face of the Kentucky Derby and Churchill Downs for nearly every journalist who covered the iconic race as well as other major events such as the Breeders’ Cup, which was held four times under the Twin Spires during his tenure. The Big Sport of Turfdom will be presented to John’s wife, Dee, at the University of Arizona Race Track Industry Program’s annual awards luncheon on Tuesday, December 4, emceed by Santa Anita Park track announcer Michael Wrona. The luncheon is part of the 2018 Symposium on Racing & Gaming at Loews Ventana Canyon Resort in Tucson, Ariz.
Asher, the irreplaceable ambassador for Churchill Downs and his beloved city of Louisville, passed away August 27 at the age of 62. A beloved member of the racing community, Asher also received several industry awards, including the Kentucky Thoroughbred Owners’ Warner L. Jones Jr. Horseman of the Year award in 2006, the Charles W. Engelhard Award for excellence in media coverage from the Kentucky Thoroughbred Owners and Breeders, the Dean Eagle Award from the Knights of Columbus, and a media award from the Kentucky Horsemen’s Benevolent and Protective Association. The Big Sport of Turfdom has been presented annually since 1966. Last year’s winner was Penny Chenery, the owner of the legendary Secretariat and a two-time winner of the award. Other previous winners include Art Sherman, the trainer of 2014 and 2016 Horse of the Year California Chrome; jockeys Mike Smith, Pat Day, Chris McCarron, Bill Shoemaker, Angel Cordero Jr., Eddie Arcaro and Gary Stevens; trainers D. Wayne Lukas and Jack Van Berg; as well as other individuals who have made significant contributions to the sport, such as announcer Tom Durkin, author Laura Hillenbrand, broadcaster Jim McKay, turf writer Joe Hirsch, and actors Tim Conway and Jack Klugman.